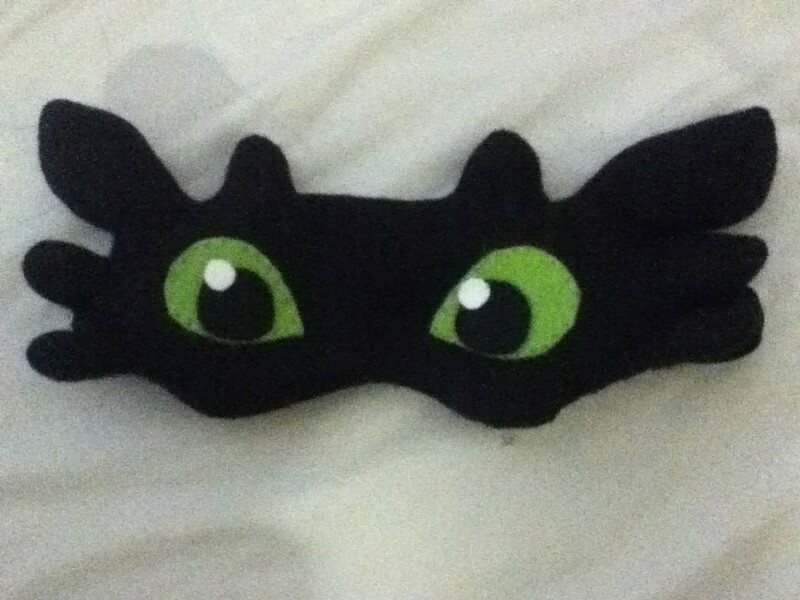 I absolutely love How to train your dragon and Toothless. I had this idea in my head for a while so I finally sat down and just made it. 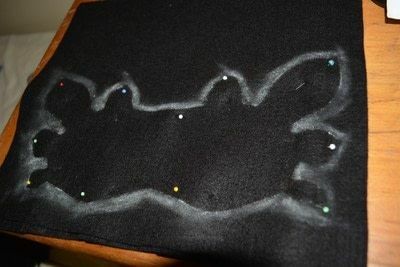 Pin your pattern on top of 2 pieces of black felt (or if your felt is big enough fold it in half and chalk the pattern onto it). Cut out it out. **Here's a picture of material cut out and pinned ready to sew. 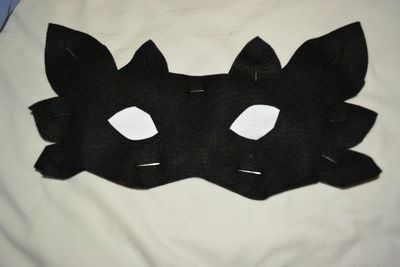 I cut circles from paper and placed them on the mask for placement of eyes. Stuff JUST the ears, horns and side horns with fiberfill. Stuff it till it can't fit anymore and just a little around the sides. that is sufficient. 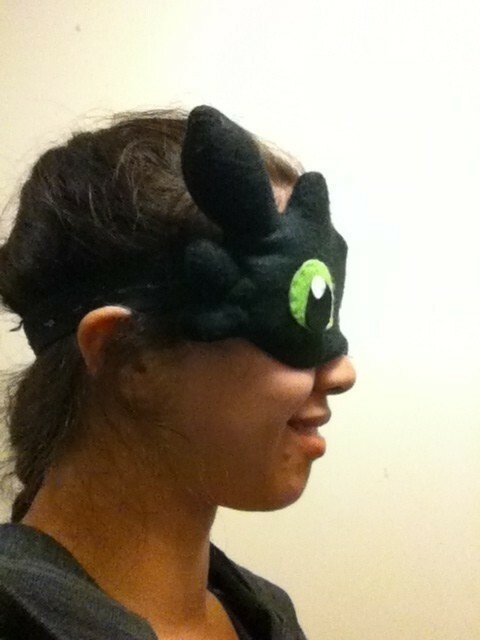 **lesson learned from (snorlax sleeping mask) I stuffed it too much and so there's pressure on the eyes when I'm wearing it. 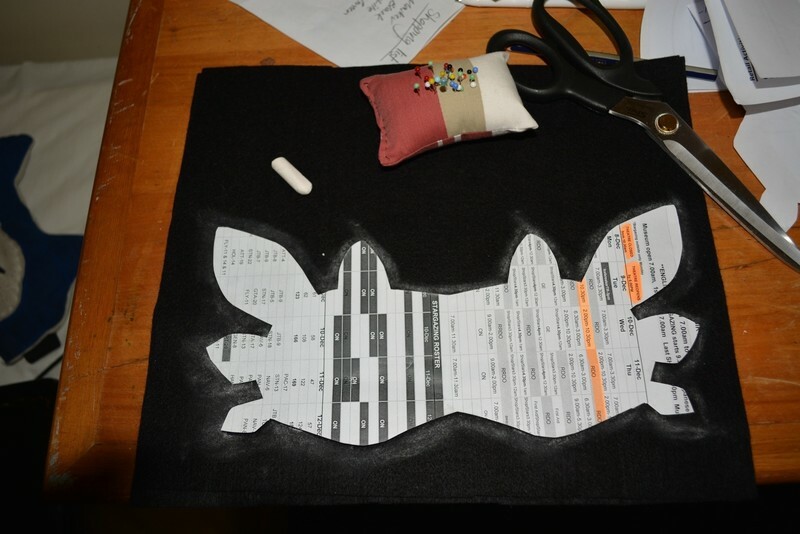 I stuffed it more than I should have. Use the circles you used earlier to cut out eyes from green felt. Pin them once you decide exactly how you want them. Sew on the eyes with green thread. 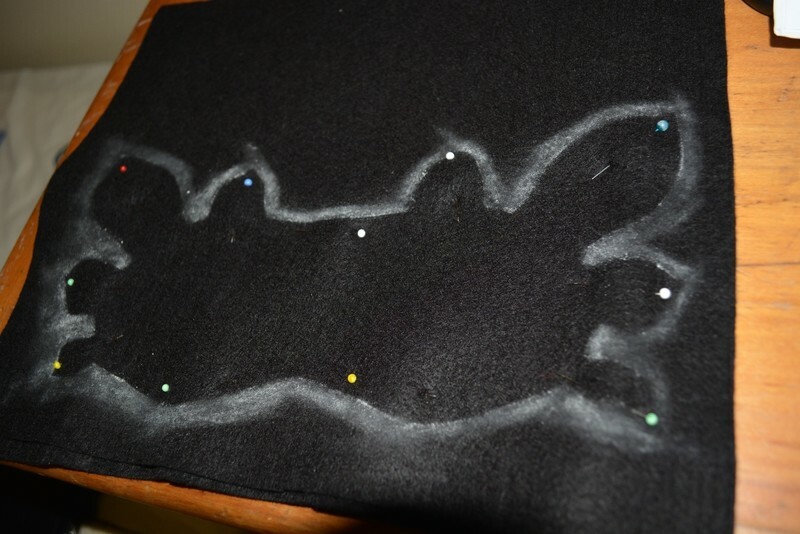 Glue or sew on the black pupils and white dot. Now Close up the gap on the mask. Attach elastic band. You can attach 2 bands with velcro so you can adjust it. 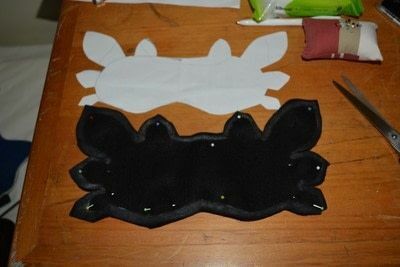 Or you can sew on one big elastic band just about the side horns. 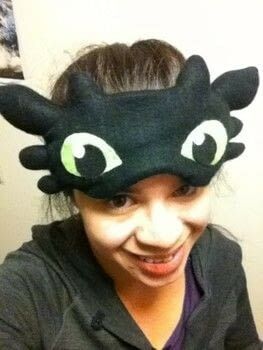 Toothless is also my fave dragon. This mask was just waaaaayyyy too cute not to comment on! Your tutorial was also adorable. 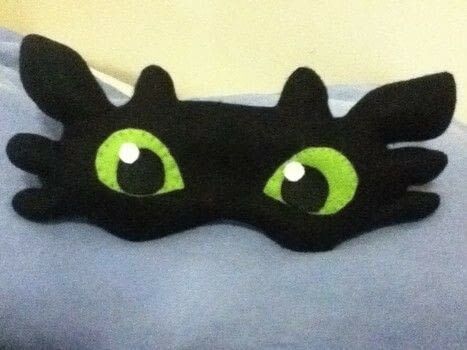 I've found your Toothless tutorial and I had curiosity about the film. Yesterday night I saw the film... and today,... I think I'm gonna make this sleeping mask! I really love the film, and Toothless is the best! Thanks for sharing! The movie is one of my absolute favourites and happy to hear you became a fan!